What does $1,300 rent you in Raleigh, right now? We've rounded up the latest rental listings via rental site Zumper to get a sense of what to expect when it comes to locating an apartment in Raleigh if you don't want to spend more than $1,300/month on rent. Listed at $1,275/month, this one-bedroom, one-bathroom condo is located at 1121 Parkridge Lane, #301. The building boasts a swimming pool and outdoor space. In the unit, you can anticipate carpeted flooring, a fireplace, a dishwasher, wooden cabinetry and a balcony. Cats and dogs are not permitted. Per Walk Score ratings, the area around this address is friendly for those on foot, is bikeable and offers many nearby public transportation options. Here's a 755-square-foot studio apartment at 4011 Cardinal at North Hills St., that's going for $1,261/month. Building amenities include garage parking, outdoor space, a swimming pool, a fitness center, storage space, secured entry, a business center and a residents lounge. The apartment features hardwood flooring, a dishwasher, stainless steel appliances, a breakfast bar, a walk-in closet, high ceilings and a balcony. Good news for animal lovers: both dogs and cats are allowed here. According to Walk Score, the surrounding area is somewhat walkable, is somewhat bikeable and has a few nearby public transportation options. Then, check out this 750-square-foot one-bedroom, one-bathroom apartment that's located at 600 Devereux St. It's listed for $1,250/month. Apartment amenities include hardwood flooring, air conditioning, high ceilings, a dishwasher, in-unit laundry, a decorative fireplace and wooden cabinetry. When it comes to building amenities, expect assigned parking. Cats and dogs are not permitted. Per Walk Score ratings, the surrounding area is very walkable, is relatively bikeable and has good transit options. 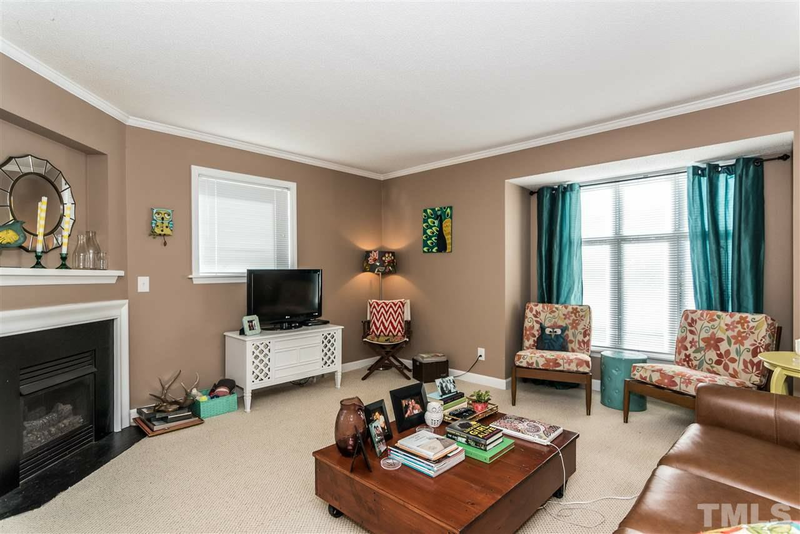 Located at Wake Towne Drive and Wake Forest Road, here's a 775-square-foot studio apartment that's listed for $1,215/month. In the unit, you can expect hardwood flooring, a dishwasher, granite countertops, a kitchen island, in-unit laundry and a balcony. When it comes to building amenities, expect outdoor space, a swimming pool, a fitness center, an elevator, a residents lounge and a business center. If you've got a pet, you'll be happy to learn that cats and dogs are allowed. According to Walk Score's assessment, the surrounding area isn't very walkable, has minimal bike infrastructure and has a few nearby public transportation options.